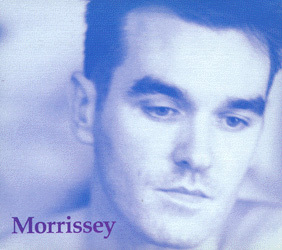 The Australian 7" single didn't come with a picture sleeve, it was slipped inside a generic red EMI bag. 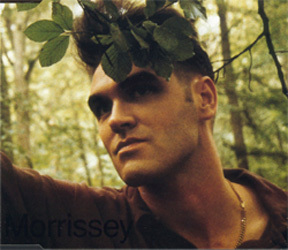 Morrissey, photographed by Pennie Smith. 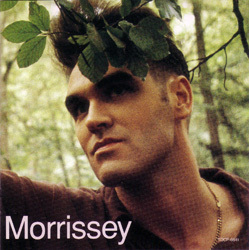 The USA cd-single features a different, uncredited photo. 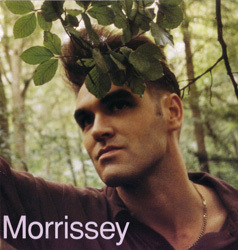 The Holland cd has Morrissey's name on the front in black instead of white, making it very difficult to see. 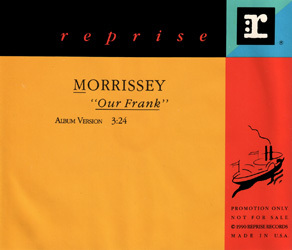 UK 12": "FREE REG, FREE RON" / "DRUNKER QUICKER"
UK: This single was the second of five consecutive ones promoted with the help of a retro-style promo 7" (POPDJ1625; view on the left). 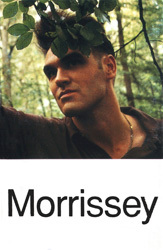 Some copies have a plugger sticker on the sleeve. 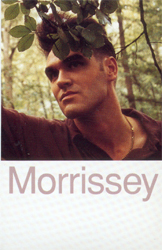 Stock cd-singles with promo stickers on the back of the case also served more limited promotional purposes. 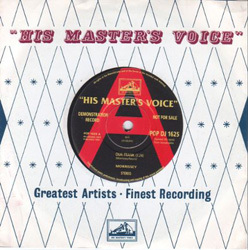 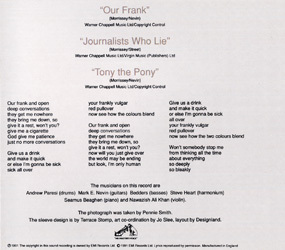 "Our Frank" was also included on a Parlophone/Capitol various artists radio sampler cd subtitled "The Incredible Sound Machine". One-track In Phase and Capitol promo videos were also distributed to the relevent media. 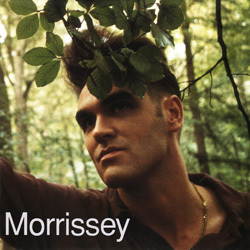 Japan: Promo cds are stock ones with a white and red promo sticker on the back and 'Sample not for sale' etched around the cd's inner ring. 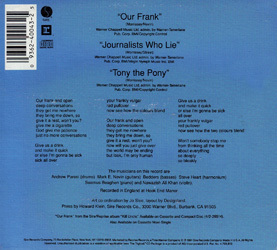 "Our Frank" was included on a various artists radio promo cd at the time of release of this single or the "Kill Uncle" album. 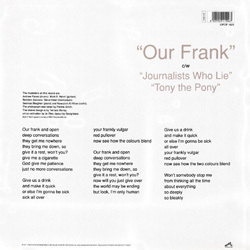 USA: Gold stamped copies of the 12" were the main promotional tool. 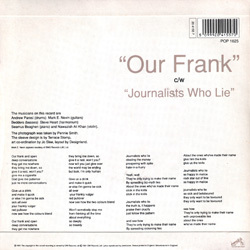 A one-track promo cd of "Our Frank" was sent to radio in the USA, but this item was used mainly to promote the "Kill Uncle" album. 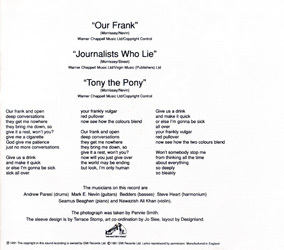 "Our Frank" was included a various artists promo sampler titled "Schwartz Brothers Inc Compact Disc Sampler 8".